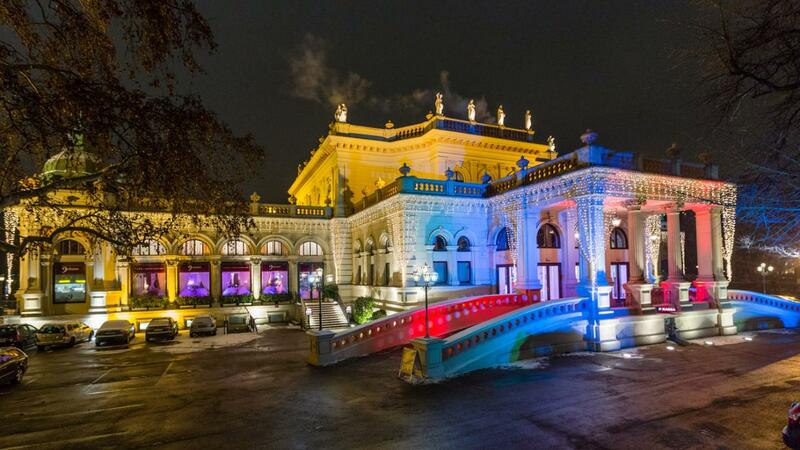 On 15th of February 2020, Kursalon will open its doors for the 14th annual Johann Strauss Ball. The glamourous ball opening will be directed by the classical Orchestra “Alt Wien” and accompanied by one of Vienna’s famous dancing schools. 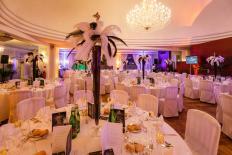 Enjoy an elegant Gala dinner before the opening or have a glass of sparkling wine on one of the many bars. Let yourself be guided through the night with the music of our live orchestra, band and DJ in the 4 sumptuous halls of the historic Kursalon building and be part of an unforgettable ball night in Vienna. Admission for dinner guests starts at 06.00 pm. Dinner will be served between 07.00 pm and 08.30 pm. which is known as one of the best interpreters of Viennese classical music. At our waltz workshop you will get to know more about the secrets of the rhythm of the waltz and other standard dances, which you will learn or perfect under professional guidance. 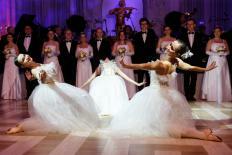 The waltz is one of the core elements of any Viennese ball. During the 18th century, the Viennese waltz started to form in surrounding areas of Vienna and quickly became highly popular among common people. However, especially in the beginning it was considered vulgar by the Viennese nobility, which would not accept the indecent intimate contact between dancers. Over time, established musicians such as Franz Schubert, Johann Strauss I and many other composers began recognizing the quality and appeal of the waltz. During the Viennese congress 1814/15, when political leaders where supposed to design a long-term peace plan for Europe but did not progress properly, it is said that the Austrian Field Marshal Prince de Ligne mockingly stated: “The congress dances, but does not progress.” ("Le congrès danse beaucoup, mais il ne marche pas."). This clearly showed the noble society’s change of attitudes at that time. Especially due to Johann Strauss’ worldwide concert tours, the waltz established itself as a standard accompaniment for noble events in Vienna and is still considered as one of the most popular dance styles worldwide to this day. At midnight we invite you to join us on the main dancefloor for another highlight of every traditional Viennese ball – the quadrille! The midnight quadrille has always been an intrinsic part of the Viennese ball culture. The individual steps are announced and demonstrated by a host, so all participants can then join into a dynamic dance in a humorous setting. The quadrille is traditionally attended by a live orchestra which performs the world famous Quadrille from the Operetta “The Bat” by Johann Strauss jr.
Don’t miss out the special midnight performance! We proudly present: in cooperation with “Vereinigte Bühnen Wien“:The singer and actress Patricia Meeden, presents songs from The Bodyguard Musical! 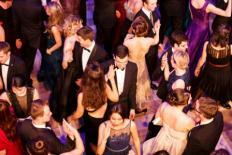 As it is customary on any typical Viennese Ball, you will have the opportunity to show off your talents of modern dancing at Johann Strauss Ball as well. After the workshop of standard dances, it's time to stretch your legs dancing to the best hits of the 80s, 90s and today. For students, pupils and military conscripts tickets are available for € 27,00! Johann Strauss Ball is an unexpected treasure! We attended a waltz workshop, listened to live classical orchestra and had a delicious dinner. Worth it! 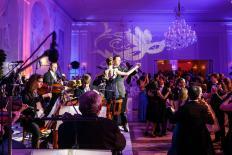 Imagine dancing waltz among hundreds of elegantly dressed Viennese locals in the very city centre of Vienna. It was a night to remember! 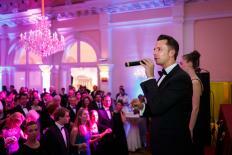 Thank you for such a magical evening at the Johann Strauss Ball. My wife fulfilled a long standing dream of attending the ball and she was not disappointed. We both had a wonderful time and can't thank you enough for such a pleasurable evening. We hope to come back soon. We recommend that ladies dress in full-lenght evening attire, while gentlemen should wear formal wear, black tie or traditional gala attire. While dancing the gentleman should take the lead. When the dance is over, the gentleman should accompany the lady to the table. Traditionally, the lady sits on the right side of gentleman. If the lady gets up, men should get up too or make a gesture to this effect. The Johann Strauss Ball is a tribute to the famous Austrian composer Johann Strauss, who created over 500 pieces, mainly comprised of dance music and operettas. Johann Strauss performed concerts in Europe and North America, which caused a worldwide “Strauss hysteria”. Together with his brothers Joseph and Eduard he performed on the most important concert stages in the world, including Kursalon Vienna in 1867. In 1867, he regularly performed in the historic halls of Kursalon Vienna. The famous golden Strauss statue in Vienna City Park was built right next to Kursalon in his honor. Kursalon Vienna is one of the most beautiful historic buildings along the famous Vienna Ring Boulevard, known as an exclusive venue for numerous prestigious events. 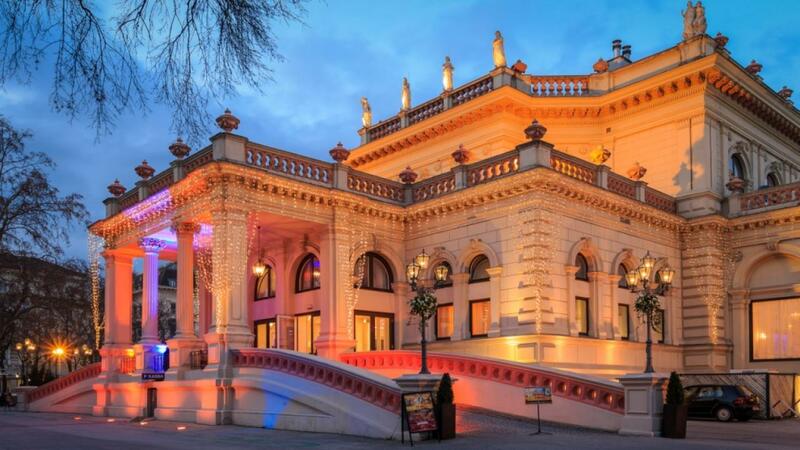 The historic ambience, as well as the rich history of the building, where the Strauss brothers entertained Viennese nobility with their music, have filled the building with an atmosphere full of musical enchantment and made Kursalon the centre of cultural events in Vienna. with the best music from Strauss, Mozart & co! Still got questions? Visit our frequently asked questions or contact us! We look forward to welcoming you soon in Kursalon!